Sweep off everybody's feet while you jazz up this Red gown. 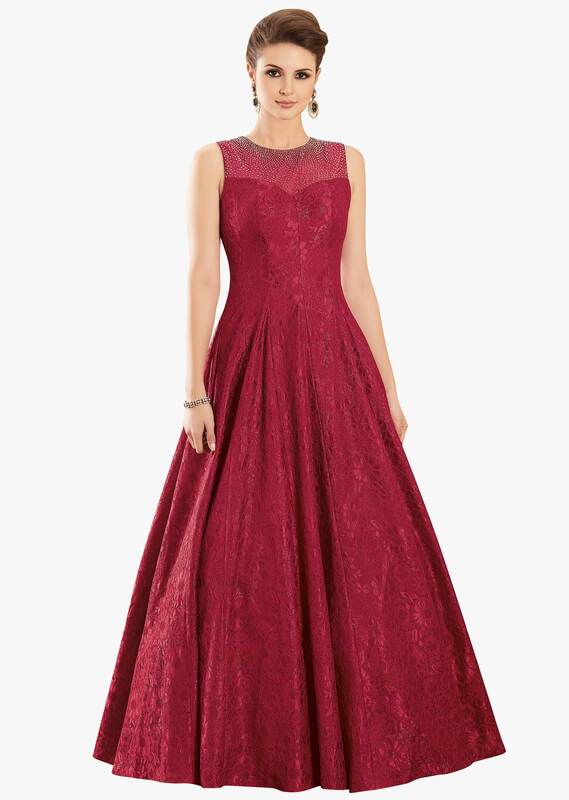 The gown is featured in a shimmering red lace fabric. It is highly studded with silver kundan embroidery at the neck line. All in all the gown won't fail to give you the fairy tale look.